It was fantastic being in London last month for International Paralympic Day at Trafalgar Square. It was my first visit to the fantastic city and I already can't wait for the London Paralympic Games next year to renew my rivalry with my friend Oscar Pistorius. Oscar only just beat me in the T44 100 metres at the Beijing 2008 Paralympics when I took silver so it was the best feeling in the world to beat him in the same event at the 2011 International Paralympic Committee (IPC) World Athletics Championships in Christchurch in New Zealand this January. It was particularly nice as it was his first defeat in Paralympic competition in seven years! Looking at it closely, we are so similar. We were born with the same defect. I'm a single leg amputee, he's a double. Growing up I played football, he played rugby and we're the same age. If you're two athletes in the same era and you never beat your rival, then you're never going to win gold. But Christchurch was a great confidence booster for me going into London. It showed me that through hard work and dedication anything is possible. Winning in Christchurch has changed things for me a lot. I'm going to be sponsored by a major company for London and I'm really excited by that. And that tells me that between now and London it's feasible for me to be a full time athlete, which means I can only get better. The London 2012 Paralympics will be amazing and just look out for my T44 100m with Oscar at the Olympic Stadium on the evening of September 6, 2012. It is certain to be close and I know that with the crowd behind us, it will be an electric atmosphere. Muhammad Ali had Joe Frazier, Magic Johnson had Larry Bird and Usain Bolt has Tyson Gay. Now Oscar has got me. 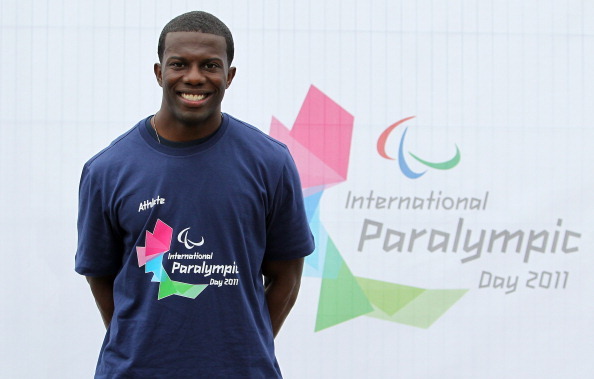 Jerome Singleton is a Paralympic athlete from the United States competing mainly in category T44. He was born without a fibula in his right leg and doctors amputated below the knee when he was 18 months old. 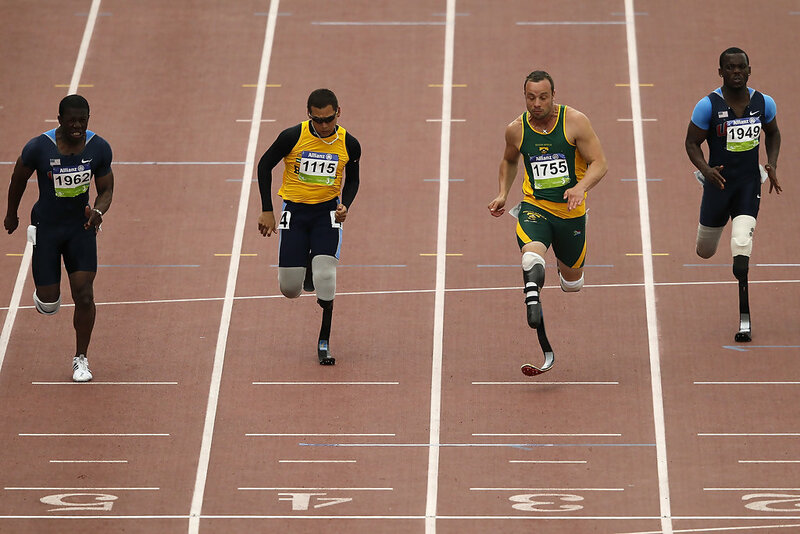 He won silver in the T44 100m at the Beijing 2008 Paralympics and gold in the event at the Christchurch 2011 IPC World Championships where he handed Oscar Pistorius his first defeat in Paralympic competition in seven years.